Open Source as Prior Art is a project conceived by a group consisting of USPTO (United States Patent and Trademark Office), Eclipse foundation, IBM, Novell, Open Source Development Labs (the sponsors of Linus Torvalds), Red Hat and OSTG (the owners of slashdot.org, sourceforge.net and other sites). The motto of OSPA is to improve the quality of software patents by providing better accessibility to Open Source software and documentation that can be used as prior art during the patent examination process. Prior art is a term used by patent offices around the world to signify all information that has been disclosed to the public in any form before a given date. When a person or group applies for a patent for their work, the patent office will first check whether a similar work has been already released as prior art and if it is not - then, and only then a patent is allowed. 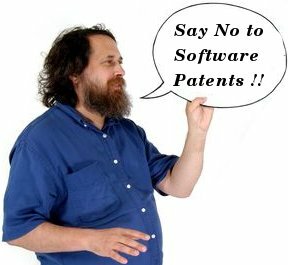 Richard.M.Stallman - the father of GNU - has voiced his strong reservations about this project in an article he has written, and feels that this project could backfire and will significantly weaken the resistance towards software patents of which he is a staunch critic. GNU strongly opposes having any truck with the idea of software patents. It is interesting to see RMS wade towards his goal of creating a software patents free society disregarding all opposition to his beliefs. In fact, one of the qualities that I find in him which is common in all leaders who have made a mark in society is persistence. He doesn't (allow others to) dilute his beliefs for which he stands for. And this is what has brought GNU where it is now - basking in the limelight of grateful free software users.